XGINT, Here is our Christmas newsletter edition. We have prepared this video to wish you a "Merry Christmas". Click on the video icon to watch it. XGINT, Aquí tienes nuestra newsletter especial de Navidad. Hemos preparado este video para desearte una "Feliz Navidad". Haz clic en el icono del video para verlo. As a special Christmas gift we have prepared this game. YOUR MISSION: Finish the game to earn a Christmas Card. Once achieved you can share the game and your comments on Facebook, Twitter and Google+. The game is in English and Spanish. Play it on your computer, mobile or tablet. You choose! Como regalo especial de Navidad hemos preparado este juego. 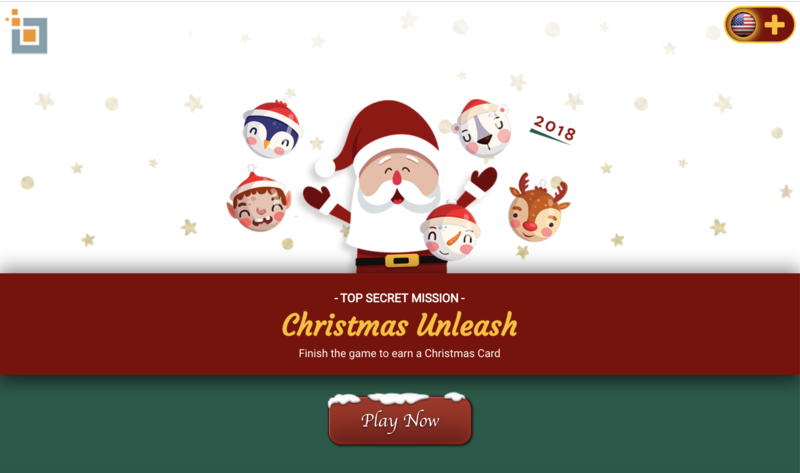 TU MISIÓN: Completa el juego para conseguir una tarjeta de Navidad. Una vez conseguida puedes compartir el juego y tus comentarios en Facebook, Twitter y Google+. El juego está en inglés y español. Juégalo en tu ordenador, móvil o tablet. ¡Tu eliges! In a global economy, when international payments are made, these are usually very expensive. Transferwise is a transparent, fast and low cost solution (low fees and real exchange rate) to make these payments. Check it out. It is worth! En una economía global, cuando se realizan pagos internacionales, éstos suelen ser muy costosos. Transferwise es una solución transparente, rápida y de bajo costo (tarifas bajas y tipo de cambio real) para realizar estos pagos. Échale un vistazo. ¡Vale la pena! ©2018 XGINT LLC - All rights reserved. or you have given your consent to receive it. XGINT LLC is a company registered in the state of Delaware in the United States of America.